Indie-rockers Peach Pit from Vancouver, Canada, who describe their style as “chewed bubblegum pop”, began making music last year after meeting in high-school. Through their energetic live shows and their quirky visual aesthetic, the band quickly developed a local fan-base and then soon, an international following. Today, we take a look at where it all began: the group’s debut EP, Sweet F.A. 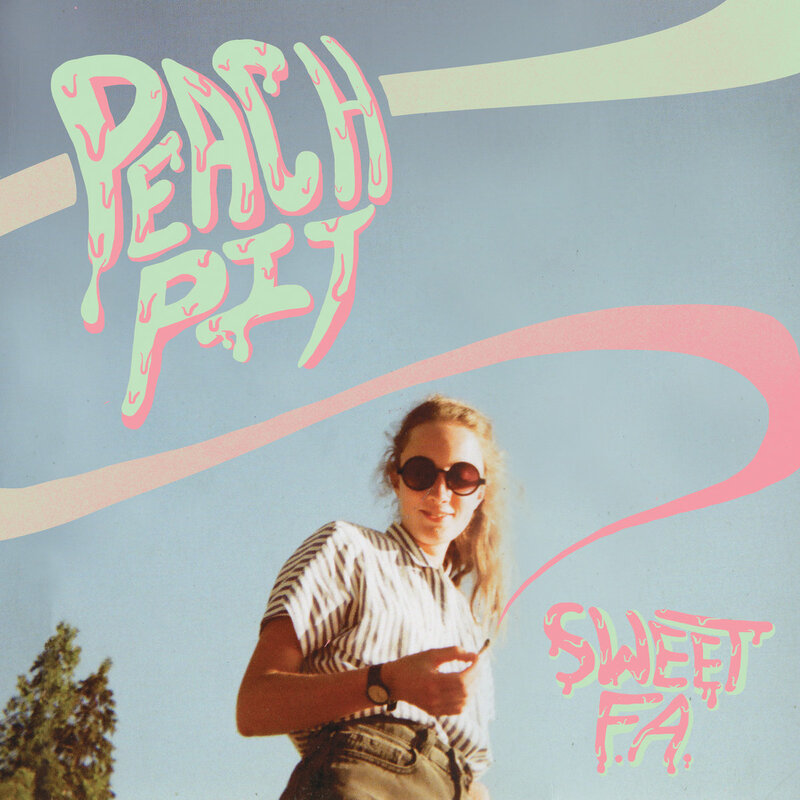 The music of Peach Pit, taking cues from artists like Mac Demarco and Homeshake, is a blend of sweet summery vibes and millennial angst. From messy love affairs to annoying friends, their songs offer a window into the raucous mind of a teenager over lush guitars and laid-back vocals. The jangling guitar on Seventeen suits perfectly with its theme of disquiet and uncertainty as vocalist Neil Smith sings: “There’s something dark hanging over my head/ I’m seventeen don’t hold your breath”. Drop the Guillotine, meanwhile, is a slow and hypnotic ballad full of touching moments. But Peach Pit’s catchiest number comes at the end with the EP’s title-track – a potent guitar-pop anthem that ends with a memorable coda of woozy guitar riffs.